Last week—after a four-year break—the divertor group finally convened again in the ITER Headquarters. 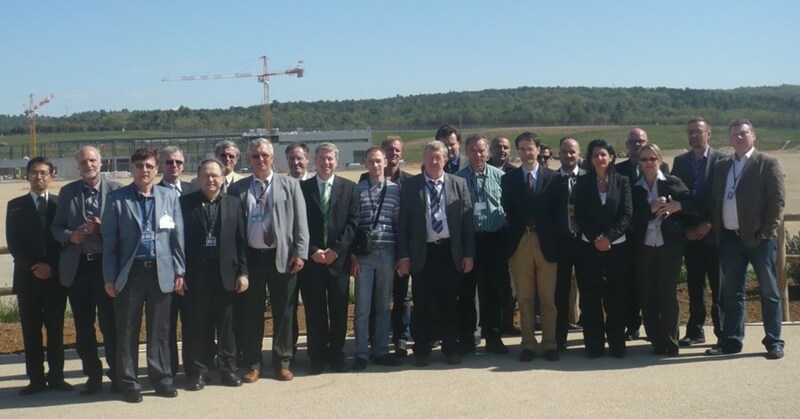 Beginning in 1997, representatives from the ITER Members involved with the design of the ITER divertor came together once a year in order to coordinate their activities. When the divertor design was finally approved in 2008 and the procurement process launched, the need for a coordination forum was no longer felt. This year, as the manufacturing of the first components has begun, Mario Merola, in charge of ITER's Internal Components Division, decided to revive the forum, with a focus this time on quality and manufacturing issues. 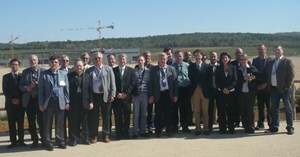 Last week—after a four-year break—the divertor group finally convened again in the ITER Headquarters. One of the issues discussed at the ITER Divertor Meeting was the Procurement Arrangement for the assembly of the divertor cassette body, scheduled to be signed in December with the European Domestic Agency. It will be the fifth Procurement Arrangement for the divertor team and—as Europe, Japan and Russia are involved in procurement—it once again represents a truly international joint venture. "We are now looking at the interfaces, at contact points and tolerances, and common policies, but also at liabilities and customs issues," Mario says. Before being mounted onto the cassette body, the plasma-facing units of the divertor will be subject to cyclic high heat-flux tests aimed at confirming their performance capability under relevant operating conditions. A new facility, especially dedicated to such extreme heat-flux tests, is currently being built by the Russian Domestic Agency at the Efremov Institute in St. Petersburg. The first component procured by Japan is due to be tested there in October. Another point on the agenda of the revived forum was the strategy for the design and procurement of the plasma-facing components for the second-generation ITER divertor, which will be needed when ITER moves into the deuterium-tritium phase of operations. "Although this may appear very far in the future...more than 14 years from now," Mario comments, "it is a brand-new project, with physics requirements, design solutions, manufacturing technologies, and procurement organization yet to be defined and agreed. This is a process that will take several years."